Welcome to This Month in the Garden. Winter can be a challenging time for backyard birds as food sources, water and shelter become scarce. Shorter days mean less time for foraging and many insects are in hibernation, making it even more difficult for birds to obtain food. In addition, many seed-bearing plants have already been consumed, while deciduous trees have lost their leaves, no longer offering protection from the harsh winter winds. With freezing temperatures water can also become inaccessible. There are steps you can perform in creating a bird-friendly garden that can be beneficial, and even life-saving for our feathered friends. For starters, planting a mixture of evergreens and deciduous shrubs provides shelter during winter months and nesting areas for birds during springtime. Generally, Juncos and Towhees prefer to nest beneath bushes, while species such as Cardinals, Morning Doves, Mockingbirds and Nuthatches prefer the sanctuary of dense foliage. 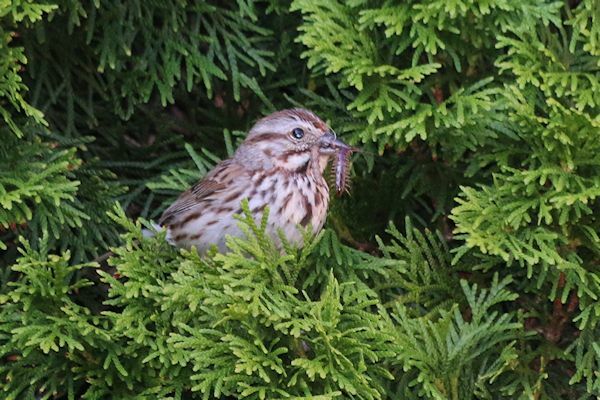 Depending on species, a bird's food preferences can vary, but most enjoy feeding off insects, berry producing shrubs and trees and the dried seed heads of perennials. 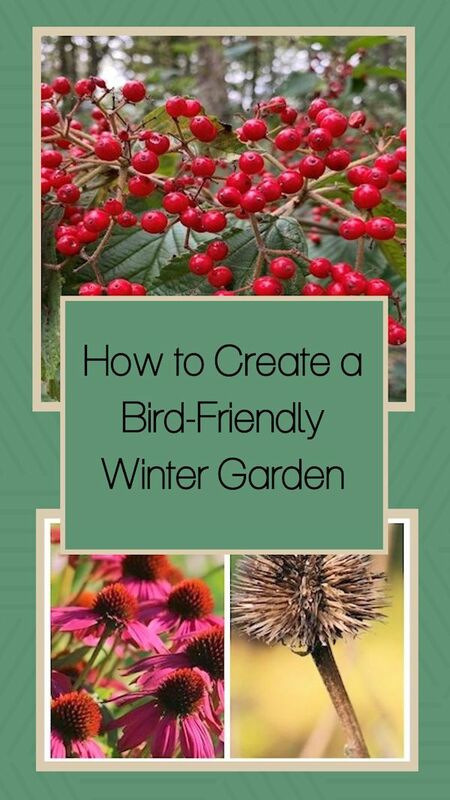 Here is a list of bird-friendly plants that you can incorporate into your winter garden. 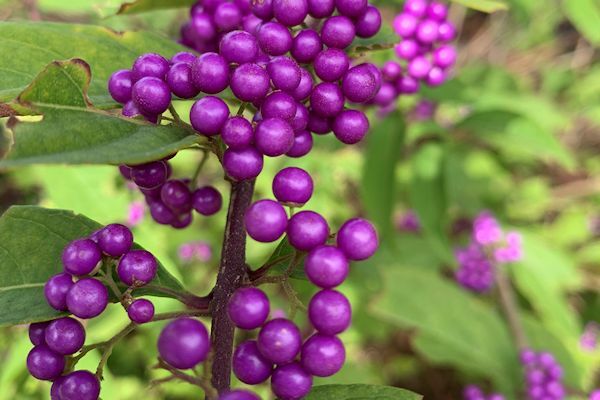 The first is Callicarpa or Beautyberry. Callicarpa maintains a tidy habit of 3-4 feet high by wide, displaying beautiful arching branches and loads of colorful fruit. Clusters of pale lavender-pink flowers form in summer and develop into masses of glossy amethyst berries in fall. The fruits tend to persist longer on the shrub than others, offering some (but limited) winter interest and are a desired food of the Northern Bobwhite. Callicapra is hardy in USDA zones 5-8, prefers full fun to partial shade and a moderately moist soil. Common Juniper is an evergreen found across the northern United States and southern Canada, which is also native to Europe and Asia. This small evergreen can be an excellent plant for backyard wildlife gardeners, forming bluish-black berries that are an attraction to a variety of birds including catbirds, thrashers and woodpeckers. 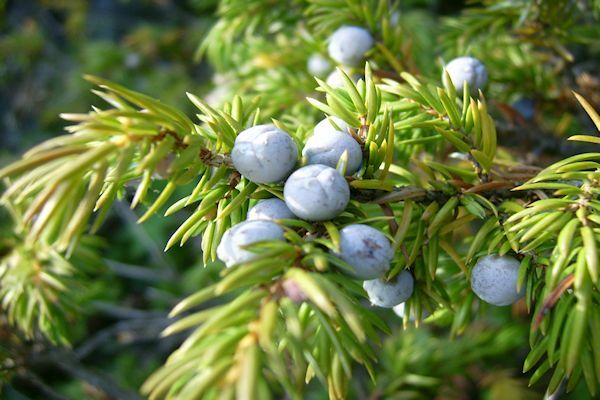 Juniper is slow growing, hardy in USDA zones 2-6 and prefers to be grown in full to partial sunlight. The plant reaches a mature height and width of 5-10 feet by 8-15 feet; however there is a dwarf variety, Juniperus communis 'Compressa', that grows to a height of just 2-3 feet. Besides Juniper communis, other edible species include Juniperus drupacea, Juniperus phoenicea, Juniperus deppeana, and Juniperus californica. One of the most attractive of hollies, 'Nellie Stevens' Holly is a vigorous grower with dense branches, making it an excellent screening plant. 'Nellie Stevens' grows in a pyramidal shape to a height of 15-20 feet tall by 8-12 feet wide, while displaying oblong, glossy, dark green leaves with spiny margins. 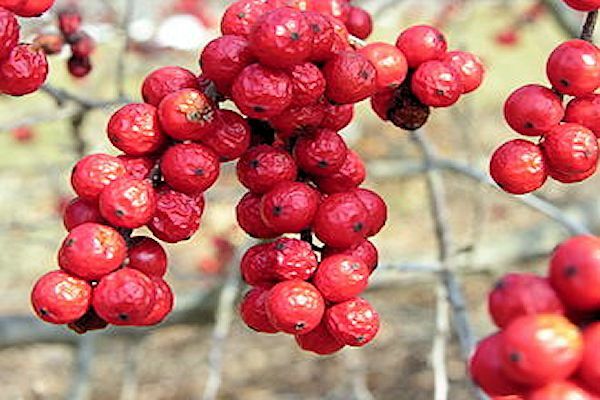 Inconspicuous greenish-white flowers appear in spring followed by abundant amounts of berry-like bright red fruits which ripen in fall and persist into winter. Ilex 'Nellie Stevens' is hardy in USDA zones 6-9, prefers full sun to partial shade and a moderately moist soil. 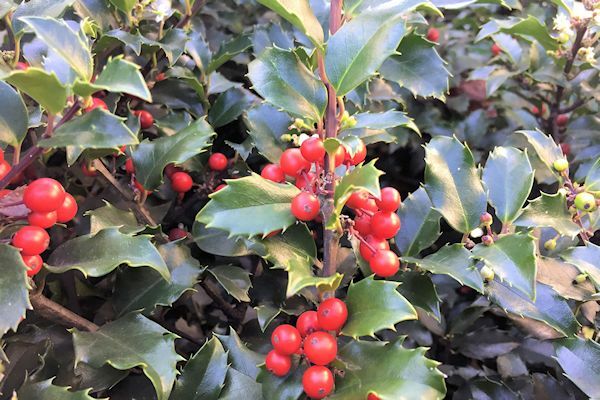 This species of holly will form berries without cross-pollination; however, planting near a male Chinese holly will promote more fruit. Nellie Stevens Holly are especially preferred by Blackbirds for food and nesting. 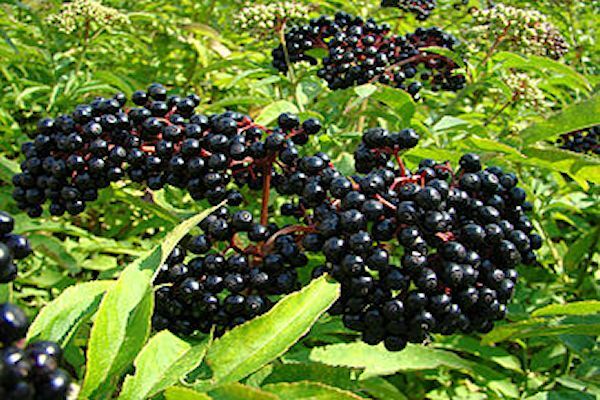 Elderberry is known for its white flowers followed by blackish-red fall berries which can be harvested for making elderberry wine and jam, or left on the plant to attract birds and other wildlife. This shrub grows to a height and width of 6-8 feet tall by wide and is hardy in USDA zones 4-7. Elderberry prefers full sun to partial shade and a moderately moist soil, but is adaptable to most sites. A new cultivar of Elderberry known as 'Black Lace' is a stunning development in Elderberry breeding, displaying intense purple black foliage, pink flowers in summer, followed by blackish-red fall berries. 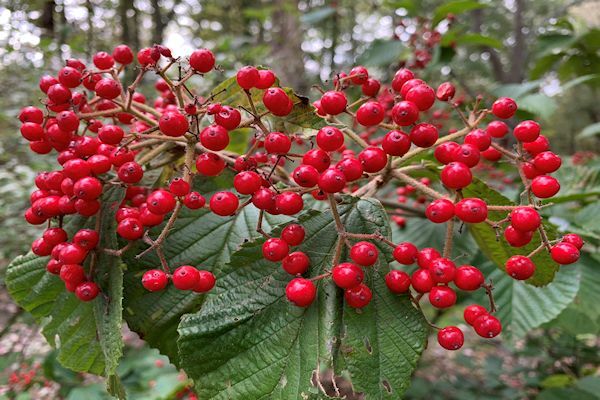 Viburnum 'Cardinal Candy' displays creamy white flowers in spring followed by bright red, berries that make for a stunning display in the fall. Fruiting appears to be strong even without another pollinator in the area and are favored by birds and butterflies. Hardy in USDA zones 4-8, Viburnum 'Cardinal Candy' matures to 4-5' tall by wide and prefers to be grown in full sun to partial shade. Its well-branched habit allows it to fit nicely into the landscape. This variety of viburnum has improved hardiness compared to other dilatatum varieties. Hardy in USDA zones 5-9, Mahonia aquifolium is an evergreen shrub that is noted for its mildly fragrant yellow flowers in spring followed by clusters of edible blue-black berries in late summer that resemble grapes. Holly-like foliage emerges red-tinted in spring, maturing to glossy dark green by summer, turning a purplish hue in fall, followed by a burgundy-bronze tone by winter. Berries are somewhat sour fresh off the plant, but make excellent jellies and are a favorite food source for birds. Plants grow to a height of 3-6' tall by 2-5 feet wide, prefer partial shade and a moderately moist soil. Winterberry is a favorite of several species of birds including Eastern Bluebird, American Robin, Cedar Waxwing and Woodpecker with its profusion of bright red berries. This native deciduous Holly requires a pollinator (such as Jim Dandy) for a beautiful display of berries on bare branches in winter. Winterberry is hardy in USDA zones 4-8 and prefers to be grown in full sun to partial shade. It is a slow grower, reaching an eventual height and width of 3-5 feet in the landscape. Echinacea, or coneflower are found in eastern and central North America, where they grow in moist to dry prairies and open wooded areas. This family of perennials includes a vast selection of species, ranging in both size and color. 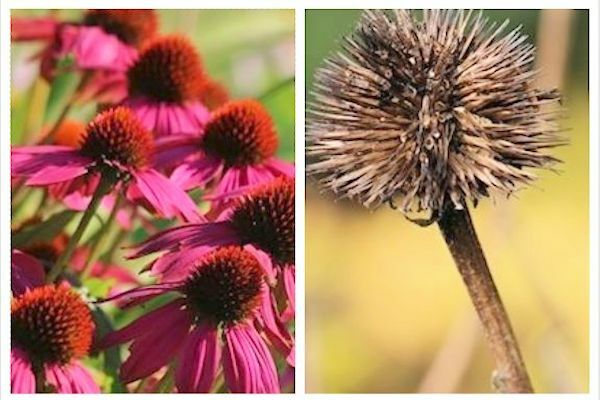 Hardy in USDA zones 4-9, Echinacea prefers to be grown in full sun and in a well-drained soil. Flowers emerge from mid-summer to mid-fall forming a showy, upright clump which is a favorite feeding station for many butterflies. After blooming, seed heads are a huge attraction to a number of bird species, including Blue Jays, Cardinals and finches. 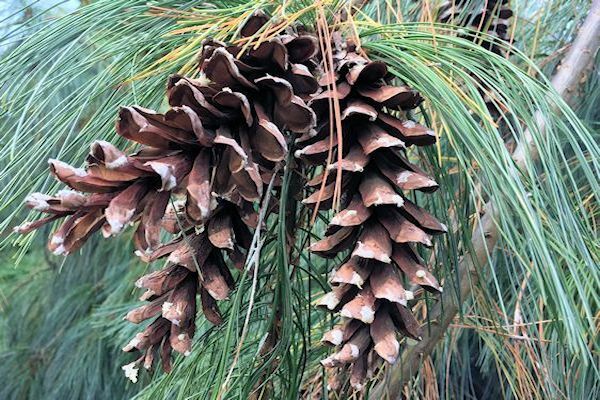 Eastern White Pine is a rapid-growing, long-lived, needled evergreen tree that is native to the northeastern United States and hardy in USDA zones 3-9. Pyramidal in its earlier years, this evergreen matures to a broad oval habit with an irregular crown, reaching a mature height and width of 50-80 feet tall by 15-20 feet wide. Soft, bluish green needles appear in bundles of five, accompanied by cylindrical, brown cones at maturity, which are a favorite food of finches, chickadees and woodpeckers. 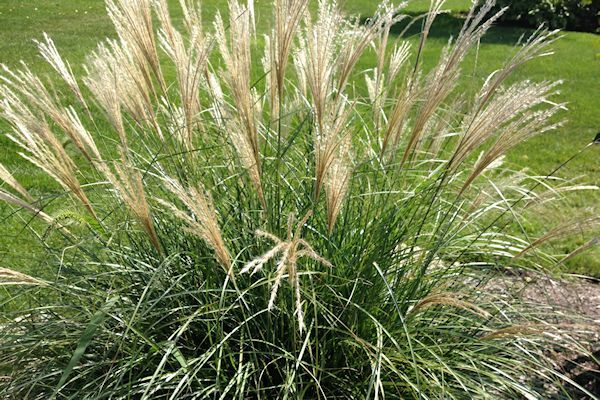 Ornamental grasses include a large selection of species ranging in size and shape, mainly taking the form of an upright clump of arching green leaves. Most are hardy in USDA zones 5-9 and prefer a well-drained soil in full sun. Green or variegated foliage is followed by spikes of soft mauve plumes in fall, that turn to buff or tan as they dry. Plants usually remain attractive well into winter and seeds from the plumes are an excellent food source for over-wintering birds. While natural food and shelter are important in creating your bird-friendly habitat, also be sure to provide a water source for over-wintering birds. In addition, I enjoy making sure that a bird feeder is available during the winter months. Establishing a desirable habitat is the main key and including species of plants such as those mentioned above will not only benefit wildlife, but will add all-season color and interest to your landscape. When planning your garden for next season, consider incorporating some of these selections into your space. Author: Lee@A Guide to Northeastern Gardening,© Copyright 2010-2019. All rights reserved. Hi Pam. I enjoyed your new meme and certainly you can use the same name. Also, thank you for linking to my This Month in the Garden post. I will look forward to your end of the month reviews of the garden. It certainly looks like you have had a bit of a roller coaster winter. We are experiencing extreme cold, but no snow yet...only a dusting that quickly melts. I am wondering what surprises Mother Nature has in store! Happy gardening to you too Lee. I had a little song sparrow singing up a storm today. Amazing what a little shot of warm air and sunshine can do for everyone. I felt like singing too. Happy Gardening Lisa! I love watching the birds, but especially in winter. They bring such joy to the garden. Interesting post Lee. I have Juniper and Mahonia. Although they have berries at autumn the birds can't eat them in winter due to thick snow blanket totally covers bushes. I'd love to have Viburnum 'Cardinal Candy', is it hardy plant? Thank you Nadezda. I am glad you enjoyed it. The Cardinal Candy Viburnum is pretty hardy and will survive down to zone 4. Great post! I love to listen to and watch the many birds that frequent our garden. I most enjoy sitting at the kitchen table and watching out the glass door as birds strip the nearby weeping yaupon holly of all its berries on a late winter day. Oh that sounds wonderful Deb! Birds are such fun to watch, aren't they? Nice blog Becca with a catchy title. It's nice to see the next generation appreciating the importance of gardening. Keep up the good work! Happy Gardening!It is always a pleasure stopping by!Hugs! Thank you for stopping by once again and for your kind words. I enjoy visiting you as well! I hadn't thought about my Echinacea Cone-flower as providing seeds for my Blue-jays. They are still standing in my garden (the seed heads not the birds) because I haven't had a chance to clear up the area. I think I will leave them up a while longer. You are certainly welcome Jeannie! The Echinacea provide a feed-fest for the birds here! Also hollow plant stalks provide winter nesting homes for native solitary bees like mason bees. Plus leaving your garden alone each fall helps shelter winter nesting insects.. not raking the bed or removing leaves gives overwintering butterflies, moths, beneficial beetles and other insects a warm winter shelter! Hello! I am learning in regard to what is best for birds and bees in my area of the northern lower eastern side of MI. I planted a shadblow serviceberry tree last summer along with various native plants. My trees need to be smaller and easily pruned. Please make suggestions! Hi Annette. The viburnum and Callicarpa are good shrubs for birds and do not require too much maintenance. Out of the options I mentioned, they will each stay under six feet.